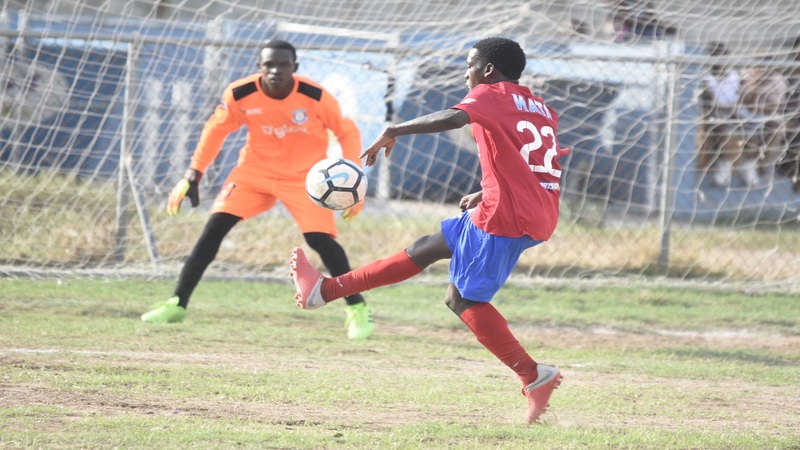 The push to fill the two remaining spots in the second round of the ISSA/Digicel Manning Cup will take the spotlight when the competition resumes on Saturday with 14 games. The day will feature the last set of preliminary round games, but there are 10 teams with reschedule matches to complete their schedule. At the conclusion of the home-and-away preliminary round 16 teams will contest the second round. The first two teams in each of the seven groups will advance to the next round as automatic qualifiers. The best third place team/next best third place teams will also qualify for the next round. The list of automatic qualifiers was completed two days ago and seven schools are now in the reckoning for the two best third place teams. The seven teams in contention for the remaining two spots are Cumberland High (14 points and a game remaining) and Tarrant High (seven points and three games remaining) from Group A; Calabar High (16 points and a game remaining) from Group B; Eltham High (16 points) from Group C; Innswood High (16 points and a game remaining) from Group D; Haile Selassie (16 points and a game remaining) from Group E and Vauxhall High (13 points and two games remaining) from Group F.
Of that lot Calabar High, Innswood High and Haile Selassie High, all with 16 points and a game remaining, are best placed for the two outstanding second round spots. The two spots will be decided on the day once those teams win their games. Calabar High will host Ardenne High, whom they defeated 4-0 away on September 24; Innswood High will host St Jago High at Chedwin Park, a team they lost 1-0 against on September 21; while Haile Selassie will visit St Catherine High, a team they lost 2-0 against on September 24. 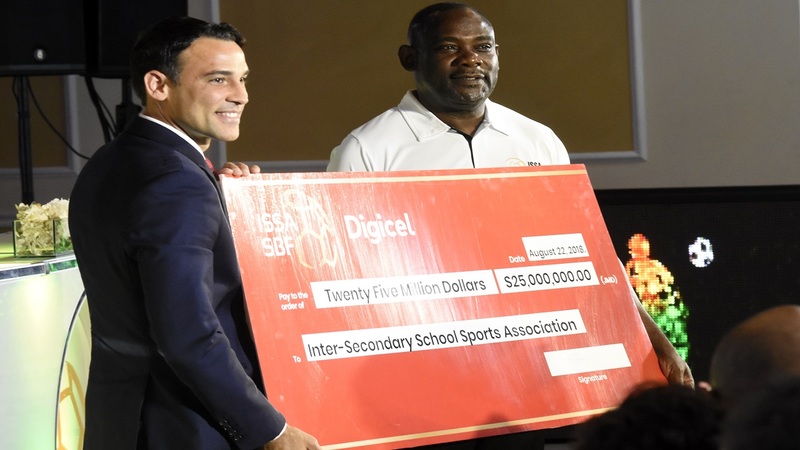 The 14 automatic qualifiers are St George's College and STATHS (Group A), Kingston College and Mona High (Group B), Camperdown High and Charlie Smith High (Group C), Denham Town High and St Jago (Group D), St Catherine High and Excelsior High (Group E), five-time defending champions Jamaica College and Hydel High (Group F), Wolmer's Boys and Holy Trinity High (Group F). 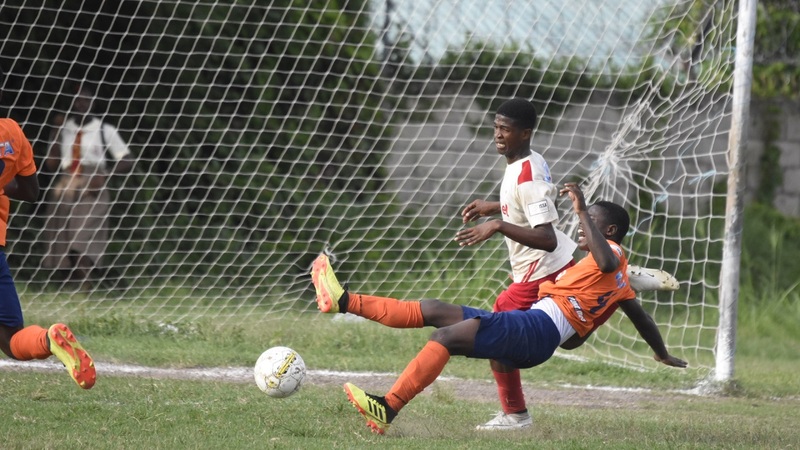 Meanwhile, St George's College, Kingston College, Camperdown High and Wolmer's Boys have already secured group honours and the remaining three group winners will be decided on Saturday. 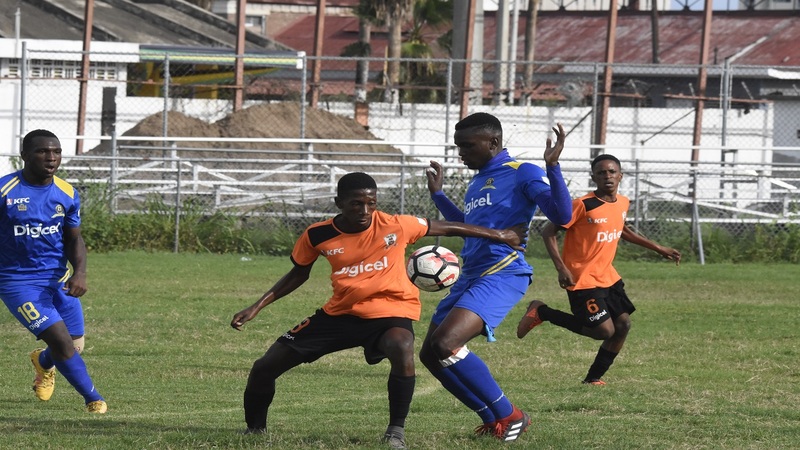 Denham Town High and St Jago High are fighting for the top spot in Group D, St Catherine High and Excelsior High in Group E and five-time defending champions Jamaica College and Hydel High in Group F.